November 1, 2010 - no comments. Posted by Larz in Events. 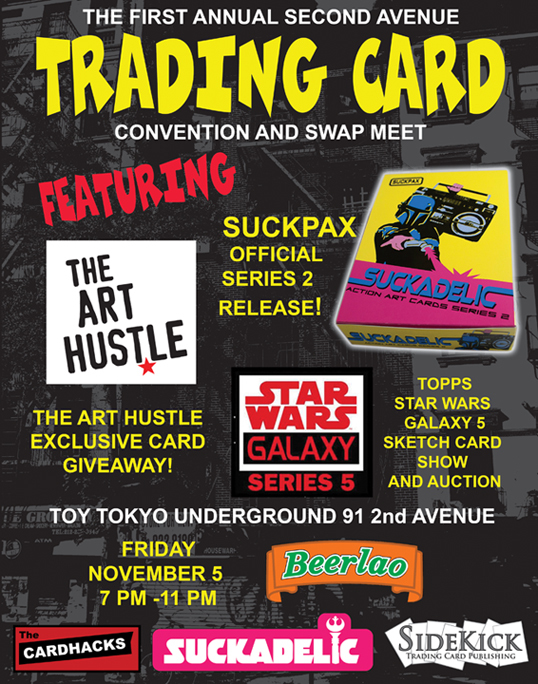 We are one of the co-sponsers of the “First Annual 2nd Avenue Trading card convention and swap meet”! Going to be an exceptional event. 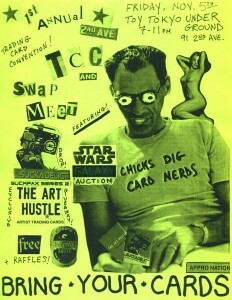 I plan to bring some vintage uncut sheets and vintage wax pack boxes of cards to show. 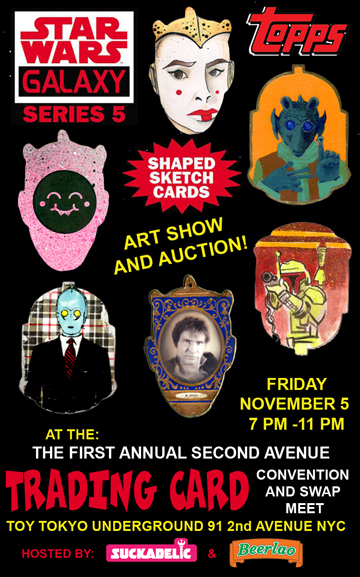 I am hoping many who attend bring at least one binder of their best cards to show. 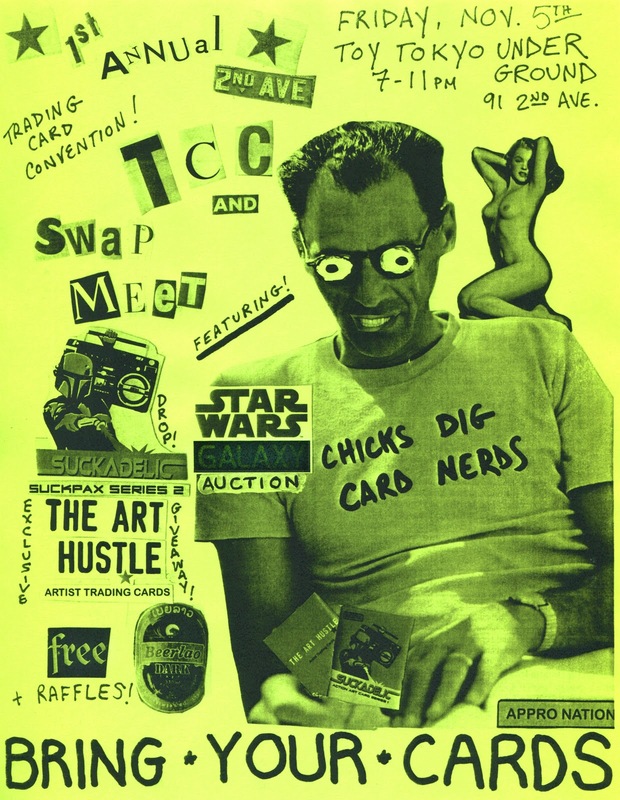 Especially sketch or original art cards. We will be raffling off a Suckpax 1 uncut sheet sometime during the event. The plans are for all attendees to get a numbered ticket, and there will be hourly drawings for prizes.